Clean, renewable solar power is being used by everyone from homeowners to utilities as a reliable source of electricity. Its popularity is driven by less expensive, more efficient solar panels. Just a decade ago, solar panel installations were mainly used by eco-warriors and those who lived off the grid. All that has changed. It is becoming more commonplace to see solar panels on homes in an increasing number of states. Given the abundance of peak sunlight across the country, solar power has the potential to supply a major amount of electricity that is economically and environmentally sustainable. Every state has seen an increase in homes benefiting from solar energy, even ones with as little sunshine as Alaska. In some areas, entire neighborhoods have switched to solar power. In other areas, new homes are being built with solar panels from the start. Solar power for homes is the first technology that is challenging the utility model. Net metering requires utilities to credit those who have solar power installations for the energy they feed back into the grid. Although these programs vary by state, they play a role in helping homeowners claim energy independence from utility companies. According to research by the Solar Energy Industries Association (SEIA), the solar industry is growing at a record pace. The industry estimates that there are more than 2 million solar power installations in the U.S. alone. And that number is expected to double in the next four years. Now that solar power is becoming cheaper, the way the U.S. produces energy will never be the same. Even the utilities themselves are investing in solar power. 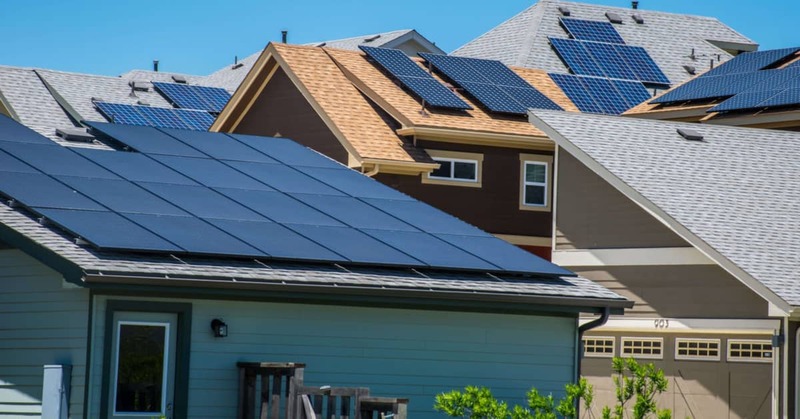 2018 saw great advances in the solar power industry, and POWERHOME Solar was among those leading the charge, expanding its operations into two more states, bringing its total to six: Ohio, Michigan, Pennsylvania, Virginia, North Carolina and South Carolina. New electricity capacity in the U.S. generated from renewable energy sources surpassed energy produced from natural gas for the fourth year in a row. This underlines how affordable solar power for homes has become. This upward trend is expected to continue in 2019. Solar panels have come a long way from the bulky rooftop arrays that first come to mind when you think of solar power for homes. They are also much more efficient, so you need fewer panels to generate the same amount of energy. Whenever you pay off your solar panels, the energy they generate will be entirely free for you. And when solar panels can produce energy beyond their warrantied life of 30 years, it’s another win for customers. Given that timeline, that means the solar panels installed on your roof this year will be producing free power for your home even when your grandkids are in college. Renewable energy use is on the verge of exploding as consumers increasingly realize the need for clean, renewable energy and the benefits that go along with it. Fill out the form below or contact POWERHOME Solar at 800-765-2715, and one of our solar representatives will help you see if your home qualifies for solar power.